Ta-Nehisi Coates has published a new essay. It’s about Donald Trump and the enduring power of whiteness in American politics. It doesn’t mention Israel. But it explains a lot about the American Israel debate, and why it may change. The American Jewish establishment’s dominance of the Israel debate in Washington has never been more complete. In fact, it has reached the point of parody. As his top Israel advisers, Donald Trump has appointed three men — Jared Kushner (his son-in-law) and Jonathan Greenblatt and David Friedman (his former lawyers) — whose only qualifications are their Jewishness and their relationships to him. None has any relevant governmental experience or academic expertise. To grasp the absurdity of their appointments, imagine that Malia Obama had married a Palestinian-American Muslim and become a devout Muslim herself. Then imagine that her father had named his Palestinian Muslim son-in-law — who lacked any qualification other than his ethnic and religious background — to oversee the Israeli-Palestinian peace process. Then imagine that President Obama had named two other unqualified Palestinian-American Muslims, who had worked with him in Chicago, to round out his Middle East team. You can’t. It’s unimaginable. Yet Trump has done the Jewish equivalent, with no significant political outcry. Why are Palestinian Muslim equivalents of Kushner, Greenblatt and Friedman unthinkable? There are a variety of reasons. American troops are at war in majority-Muslim countries, not in the lone majority-Jewish one, which breeds anti-Muslim feeling. Many Americans believe that Muslims commit most of the terrorism in the United States (though that’s not accurate), which stigmatizes American Muslims, too. Israel is a long-standing U.S. ally. And most American Jews have been in the United States longer than most Palestinian, Arab and Muslim Americans, and are thus more culturally integrated, and better politically organized. But there’s another factor, which can’t be entirely divorced from the previous one: Most American Jews are considered white. Most Palestinian, Arab and Muslim Americans are not. If Trump enjoys what Coates calls the “tailwind” of whiteness, so do Kushner, Greenblatt and Friedman. So does the entire American Jewish establishment. Yes, the neo-Nazis who marched in Charlottesville, Virginia, insist that Jews can’t really be white. And yes, Trump sometimes appears to wink in their direction. But in Washington, Jews enjoy an assumption of legitimacy and good faith that Palestinian, Arab and Muslim Americans do not. Influential Washington think tanks — aided by members of Congress — do not regularly launch anti-Semitic campaigns to get Jewish government officials fired. With Muslims, it happens all the time. Huma Abedin is only the most well-known example. (Herearesomeothers.) When was the last time a top White House adviser called Halacha (as opposed to sharia) a threat to the United States? When was the last time a leading presidential candidate said he wouldn’t appoint a Jew to his Cabinet? Whiteness, Coates has written elsewhere, bestows upon its beneficiaries a “broad sympathy” that contrasts with the “broader skepticism” facing others. And in official Washington (though obviously not at Stormfront), Jews enjoy that sympathy while Palestinian, Arab and Muslim Americans do not. But sooner or later, that will likely change. Although Trump successfully peddled white nostalgia for an earlier age, in the country at large, the demographic changes that many of his supporters fear will continue. By virtue of their rising numbers, groups currently considered nonwhite will grow more influential. There will be more Latino members of Congress, more South Asian columnists for The New York Times, more Arab and Muslim university presidents. And, in general (there will be many exceptions), these nonwhite Americans — whose family histories intersect with colonialism — will feel an affinity for Palestinians who, in the West Bank, live the classic colonial predicament: They are subjects, not citizens, of the state that controls their lives. You can already see this affinity in the polling. And you can see it on campus, where African- American, Latino and Asian student activists generally support their Palestinian counterparts. Politically, a brutal backlash now shapes Washington’s agenda, but culturally, the United States remains in the midst of a profound shift that will amplify the voices of people who see Israelis and Palestinians through a different lens. Coates himself is an example of that. He’s only the latest in a long line of talented African- American political writers. But it’s a sign of America’s evolution that he is now widely acclaimed not merely as the country’s most gifted African-American political writer, but as its most gifted political writer, period. His writing will shape American intellectual and political life for decades; he’s barely 40 years old. What will happen when he applies his deep reading of race and power in America to the debate over Israel? That question should keep the leaders of the American Jewish establishment awake at night. Sooner or later, the privilege that Kushner, Greenblatt and Friedman enjoy vis-a-vis Palestinian and Muslim Americans — the privilege that allows them to be, like Trump, half as good and twice as powerful — will fade. And the organized American Jewish community is utterly unprepared for that day. 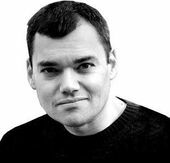 This story "Jared Kushner, Israel And The Power Of ‘Whiteness’" was written by Peter Beinart.